I am really having fun making the jewelry for this line . . . and setting up this blog. I made a little e-mail button with a letter carrying Pyrrhula pyrrhula (Eurasian Bullfinch). I was surprised at how simple the code was . . . so I’m going to share it, in case anyone who stumbles upon this blog wants to spruce up their own (and aren’t fluent in html, like me). Here’s a chance to learn from my mistakes! 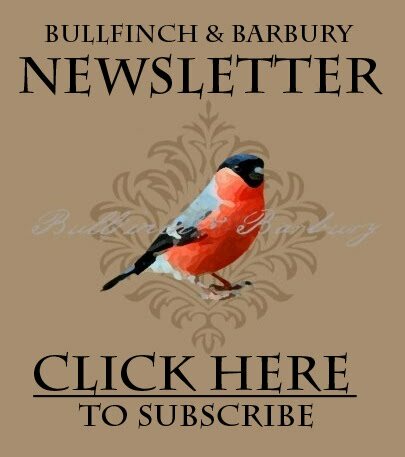 I made my bullfinch image 500 x 400 pixels . . . and subsequently had to shrink it in the code (height = “120” width = “150”), which has made the image a bit pixelated. I’ll have to shrink it in photoshop and try again . . . 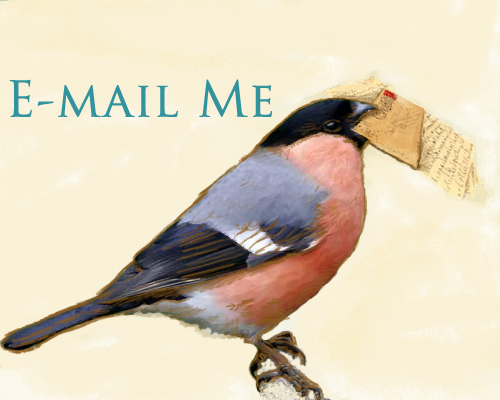 But . . for now, feel free to use my little mail Finch to e-mail me!